Relax. We'll Take it from Here! We hope to see you here at Boar's Head Resort very soon. Happy Travels! 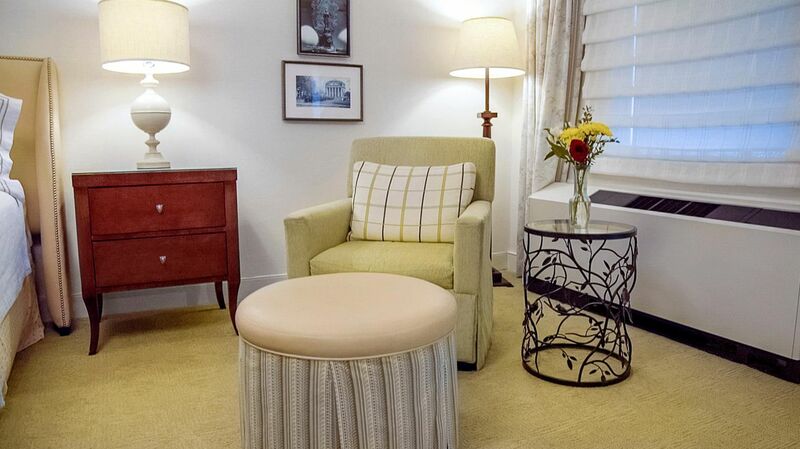 Located in four distinct buildings, our Charlottesville hotel rooms feature balconies, sophisticated furnishings, modern amenities, wireless internet access, and much more, all to be enjoyed during your relaxing and restorative stay in Virginia. If you're looking to get out and experience Boar's Head, we invite you to check out our on-site dining options, state-of-the-art sports club or Birdwood Golf Course. Whether you stay in your room or venture out, you'll be sure to find a memorable experience here at Boar's Head Resort! Decorated in classic furnishings typical of country estates across Virginia, our Charlottesville suites feature either one king or two queen beds, as well as a sitting area with queen-size sofa, gas fireplaces, balconies, plush bathrobes, cable television and more. 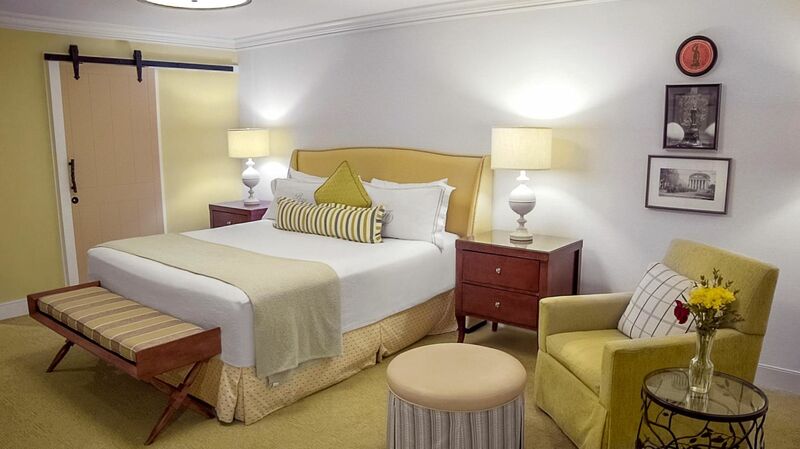 These classically composed rooms are complete with king beds, work stations and views of our well-manicured resort grounds. Your Resort King room in Charlottesville comes furnished in a sophisticated Virginia style and features modern amenities such as wireless internet, plush bathrobes, a welcoming king bed, personal safe, and more. Our charming Main Inn rooms are centrally located on the Boar’s Head Resort and completed with a king bed, Garnier-Thiebaut 300 thread count sheets and classically furnished. The King room at in the Main Inn features a king bed, wireless internet, in-room safe, bathrobe and more to make you feel at home in Virginia. These classic suites are comprised of a king bedroom, separate living room with a queen pullout sofa bed, balcony or patio and classic views of our well-manicured resort grounds. These well-appointed premium guestrooms are complete with two queen beds, Garnier-Thiebaut 300 thread count sheets, work station and a balcony or patio. Many of these rooms will include a lake view. 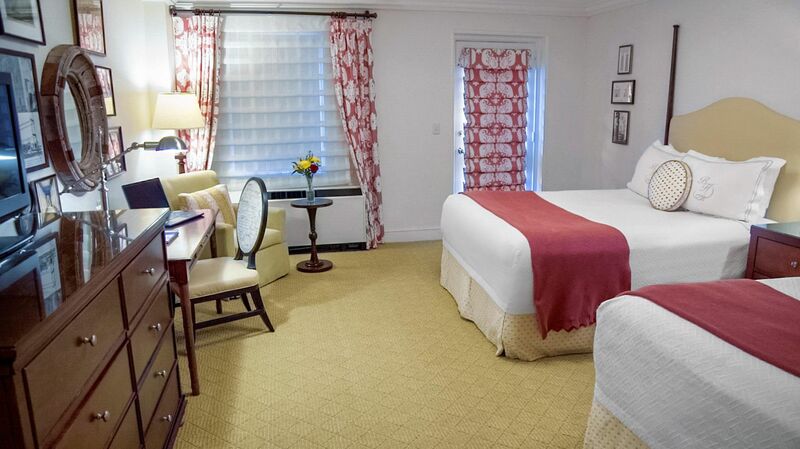 Enjoy a warm ambiance and classic Virginia style, two queen beds, plush robes, wireless internet, in-room safe and more in this Premium Two Queen room. Our charming Main Inn rooms are centrally located on the Boar’s Head Resort and completed with two queen beds, Garnier-Thiebaut 300 thread count sheets and classically furnished. The Two Queen room in the Main Inn offers two queen beds, wireless internet, bathrobes, in-room safe and more in a warm, welcoming atmosphere. These classic suites are comprised of a two queen bedroom, separate living room with a queen pullout sofa bed, balcony or patio and classic views of our well-manicured resort grounds. 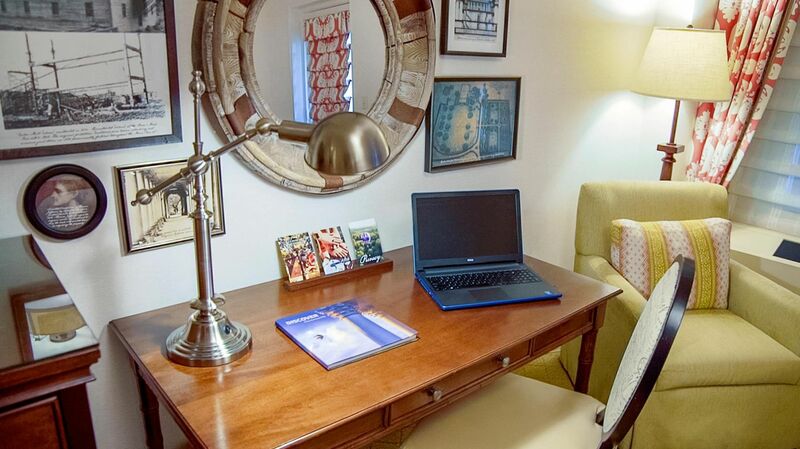 These well-appointed Premium guestrooms are complete with king bed, Garnier-Thiebaut 300 thread count sheets, work station and a balcony or patio. Many of these rooms will include a lake view. This luxury suite is comprised of a king bedroom, 1 1/2 baths, dining area, living room with a queen pullout sofa bed and beautiful walk-out patio overlooking our organic landscape and lake. This beautiful suite is complete with a king bedroom, living room with a queen pullout sofa bed and classic views of our well-manicured resort grounds. This charming suite is complete with two queen beds in the bedroom, living room with a queen pullout sofa bed and classic views of our well-manicured resort grounds.